Are The Days of Weird Startup Names and Goofy Monikers Over Yet? “I’ll WhatsApp the details to you”, “Oh, why don’t you just Google it”, “I’ve uploaded it on Instagram”, “Checkout my Snapchat story ”, “Let’s look for an Airbnb”, “Shazam that track!”, “You should put a tweet about it on twitter”, “We’ll uber it to the party”, “Let’s look for Pinterest ideas”. Notice a pattern here? These are common phrases that we use in a sanctimonious fashion on a regular basis. But no, that’s not it. The common denominator here is the clever usage of the names of the companies that serve as efficient verbs instead of sitting like dim-witted proper nouns. Yes, these are creative startup names that have wormed their way into our daily lingo, much like the deliberate dependency they’ve created for us. On closer observation, you’ll notice that startup names have been going from weird to bizarre. From quirky monikers such as ‘Yahoo!’ (which stands for ‘Yet Another Hierarchical Officious Oracle’) to ‘Flickr’ to ‘Tumblr’ to ‘Bumble’ to ‘Spotify’, countless startups have opted for single-word startup names that are catchy to hear but have no correlation to what they do. Some are not even meaningful words! To add to the convoy of bizarre, most startups chose to pick brand names with creative misspellings, made-up words, and other random collection of letters that make for oddly satisfying name choices. But have you ever wondered why startups choose such uncanny and unusual names? It’s primarily to skive off from the competition and to rise above the wave of mediocre and traditional startup names. Looking for a domain name for your startup? Search it here! What Are Some Of The Most Popular Startup Naming Practices? Since most definitive and meaningful dictionary words are not available on traditional domains, many startups have made the bold choice of substituting certain letters or dropping vowels from their name or including numbers to represent letters. Tumblr, Flickr, Scribd, are great examples of catchy startup names that sport missing letters and wrong spellings. However, the trend to use misspellings is being met with distaste among up and coming founders. Why? Because they’re turned off with the prospect of having to spell out their brand name to people. Another reason why most entrepreneurs want to avoid using misspellings is to optimize their branding for voice search. Several startups have opted for witty names that have a twist of humor and pun. For instance, Elon Musk’s ‘The Boring Company’ is a self-deprecating name, given the company’s supercilious ambitions of creating an extensive tunnel system for high-speed automobile travel. Punny names are particularly famous amongst restaurants and other brick and mortar businesses. For instance, check out these Vietnamese restaurants and their play with words. Which is why names with a dash of pun and wit will never go out of style. Today, young tech startups are spoilt for choice when it comes to choosing their online identity. With hundreds of new domain extensions now available, tech startup names have gone from being long and awkward to short and memorable. In this article, we’ve presented a comprehensive startup names list of 100+ startups using a domain extension. True to their nature of creating innovative solutions, most startups have resorted to creating catchy and spicy one-word monikers to christen their business. Kaggle, Skype, Etsy, Hulu, to name a few, are examples of words that sound like the noises a toddler would make. However, they’re names of path-breaking business now! Several startups have added functional suffixes in front of existing words such as Shopify, Spotify, Napster, etc. To overcome domain availability issues, many startups blended two seemingly different and unrelated words to create a smart moniker. Take for instance, Wikipedia (wiki + encyclopedia), Pinterest (pin + interest), Instagram (instant + telegram), Facebook (face + book). Isn’t that cheeky? Others include WordPress, YouTube, PayPal, DropBox, SnapChat, LinkedIn, etc. Where’s This Name-Game Muddle Heading? Just when it felt like startups hunt for names by switching off their spell checkers, a visible shift in the quality of names has been observed. The trend is gradually shifting towards less weird names with new-age startups choosing to adopt meaningful names that are as clean as a Navy officer’s bunk. Many startups are picking simple and evocative names such as Decision.tech, Shadow.tech, Brilliant.tech, and Pragmatic.tech to denote their business. What are the determinants of startup names? Startups are positioned as messiahs of the tech world that have an innovative and intoxicating solution to rather mundane problems. And when you’re in the business of innovation, you need a unique enough name to pique the interest of your target audience. Which is why many startups and tech companies adopt human names and food names to represent their solutions. Apple is a brilliant example of a tech giant using a simple name that is actually a fruit. Same goes with electric car brand Tesla, that is named after world-renowned physicist Nikola Tesla. For most cutting-edge startups that wish to opt for conventional names, domain availability poses to be a major problem. Most conventional names on traditional domains are already taken. Which is why startups resort to using misspellings and punny names. Or they use specific new domain extensions such as .ai or .ly or .io to denote their business on the internet. Brands such as Muscial.ly, Visual.ly, Put.io, Parse.ly, to name a few, are using these rather ambiguous new domain extensions to denote their brand name on the internet. In the tech world, the acronym AI stands for Artificial Intelligence and IO stands for input/output. And while this is the reason that .ai and .io are popular among members of the tech community, these domain extensions don’t fare too well with end customers. There was a time when hunting for the perfect domain name was an arduous and challenging task. But that’s not the case anymore. With hundreds of new domain extensions up for grabs, domain availability is no longer a dilemma for startups and new businesses looking to establish a striking and memorable online presence. This is primarily because these domain extensions don’t impart meaning for contextual relevance. So, it can get very confusing for end users. Pair this with a weird name and you’ve got a URL that is perfectly unusual and definitively peculiar. An unusual domain name will attract eyeballs for sure, but it will also confuse your target audience. This means you won’t be able to do justice to your marketing message and you might find yourself explaining the name and meaning of your tech business more often than talking about what you do. A great brand name is one that is easy to understand, memorable, and meaningful. A weird name might probably be easy to remember, but is it easy to spell? Does it pass the radio test? Is it a brandable name? To win at branding, you need to pick a meaningful name on a domain extension that is relevant and one that clearly conveys what the business is about. For instance, a tech startup that goes by www.little.ly doesn’t do much to explain what they do. However, www.littlely.tech is definitive and meaningful. Which makes it supremely brandable! When crafting a name for your startup, you need to be sure of positioning it appropriately. Correct positioning is half the battle won when it comes successful branding. For instance, if you’re a retail business that sells online, you can use a .store domain extension. And if you’re a cutting-edge tech company, you can sport a .tech domain extension. Most startups make the erroneous decision to pick a name that follows current trends and fads. 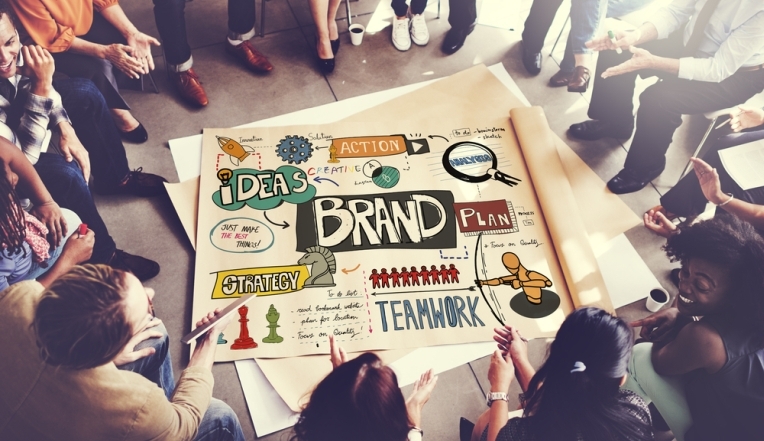 While this may seem like a smart move, it isn’t healthy for your branding in the long run. As a technology startup, you need to account for developments of the future. For instance, if you specialize in artificial intelligence solutions doesn’t mean you need to restrict yourself by picking a super specific .ai domain extension. You can leave room for scalability by opting for a .tech domain extension since it has a wider scope within the technology paradigm. Just like EmotAI.tech did! When it comes to choosing a name, startups are like kids in an ice-cream shop. From plain vanilla to a whacky tutty-fruity, there’s a name for everyone on new domain extensions! So, the trend has to evolve to a place where startups can focus on doing what they best do – build great products that are marketable and brandable. Since new domain extensions are now available, it’s easy to find the name of your choice on relevant extensions such as .tech.